Anybody have any idea how they will address my downspouts? Will they put them under the pavers or some kind of french drain? 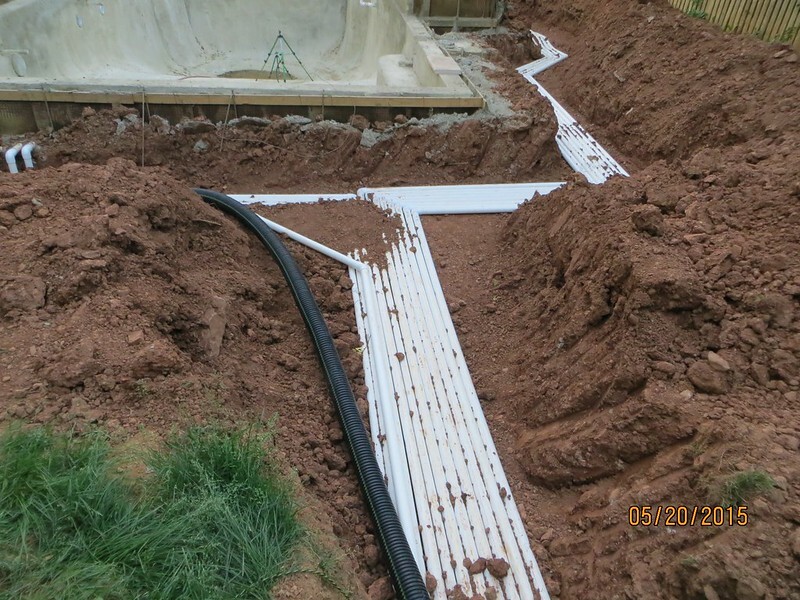 I'm asking this because my contract only says "downspouts within 5' of pool site will be connected and/or planter drains will be installed in the pool area are included in drainage system." I would assume that the downspouts are connected into the deck drainage system. Obviously you need to talk with your Pool Builder before the deck goes down, so you can solve this upfront.. This is something you need to negotiate with the pb. Look at the current discharge and where it goes. I was overly concerned and I made sure my drainage was addressed when we walked the design. I have two downspouts and a sump pump discharge that flows under my concrete decking and out to the end of my yard. I don't have any handy pictures showing the trench but it ends at the end of my yard. There we dug large holes and filled with stone. Right now we are thinking about diverting the sump pump output and putting a rain barrel to run water our plants. It is not the best solution but there was really now where else to direct our water. This a downspout and sump pump flow that needed someplace to go. Here it is flowing towards the yards natural slope. 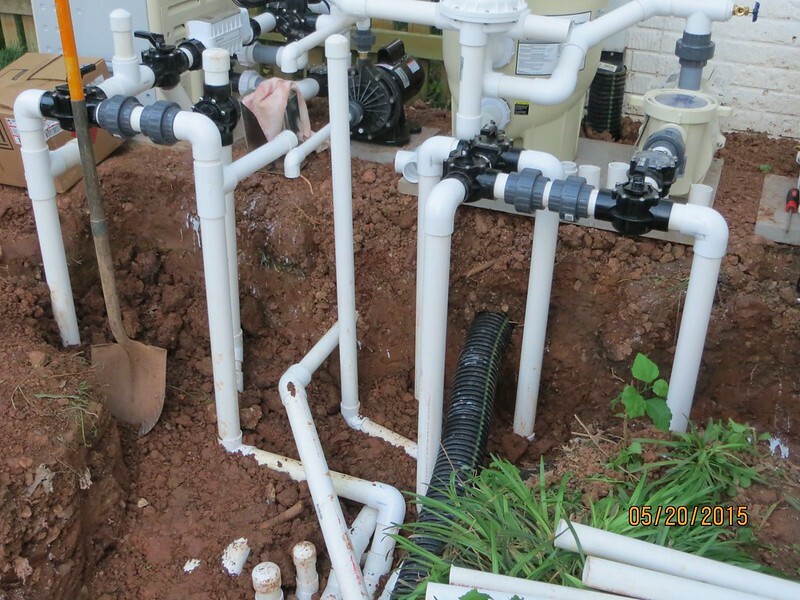 When I had my pool built I had my landscape person put hard pipe drains in the ground, and all my rear downspouts connect to them, as does my output for my sand filter. My lawn is slopped and these empty into my woods well away from the pool. Speak to PB about what he means by his statements, as you definitely don't want roof runoff getting into your pool. PS - nice looking design!